Here’s the new computer AIO or All-In-One LG: The V720. This new wonder of 27-Inches will features a full HD IPS panel and LG Cinema 3D (for version i5 only) and dual Digital TV Tuner with PIP (Picture in Picture). The V720-U.AE30K will be powered by a Core i3-2370m processor clocked at 2.4GHz with 4GB of built in RAM, 750GB hard drive and a GeForce GT640M with 1GB of VRAM, but with no 3D features. The V720-U.AE50K equipped with a Core i5-3210M processor clocked at 2.5GHz, with 8GB of RAM, 750GB HDD and 16GB SSD (Express Cache) and a GeForce GT640M with 1GB of VRAM. The V720 will be sold in Korea with a price goes about 1.76 million Won for the entry-level model and up to 2.19 million Won for the edge version. The REGZA Phone T- 02D runs on Mobile REGZA Engine 6.0, the latest high-definition graphics engine from Toshiba, and has an OLED display “NEW AMOLED Plus” which allows you to enjoy the best graphics in the history of REGZA Phones. In addition to being compatible with the communication at very high speeds and Xi broadcasts NOTTV for smartphones, the technical characteristics of this high-end smartphone, comes with features such as a camera 13.1MP and a dual-core processor, which allows users to enjoy great visual. Along with high-speed communications and broadcast multimedia smartphone, video services are improving day by day with enhancements such as support for high resolution videos. To enjoy these benefits, the REGZA Phone T-02D uses the Mobile REGZA Engine 6.0, the latest technologies dedicated to the image, with an OLED display “NEW AMOLED Plus”. T-02D is compatible with REGZA Link Share, which lets you connect the device to a Blu-ray REGZA to play recorded programs to enable users to enjoy their favorite content anywhere, anytime. In addition, in terms of usability, this smartphone is in its own thanks to its performance boosted by a dual-core processor clocked at 1.5Ghz and the latest Human Centric Engine, proposed by Fujitsu to make handling easier: technology adapts to the user and the environment. Finally, the smartphone has all the standard functions and practices such as a fingerprint reader, a high capacity battery 1.800mAh, an anti-dust technology (IPX5) and waterproof (IPX5/8), the ATOK communication via infrared, and Osaifu-Keitai ®. The REGZA Phone T-02D is available in three colors: Pink, Black and Blue. As was already the case, last year, with the Sony Xperia Arc S and Xperia Ray, Sony seems determined to launch a second wave of smartphones in the second half of the year, smartphones that will likely be announced at the time when the IFA Expo will take place, which starts next month in Berlin. A second wave of smartphones among which we should find the particular Sony LT30p also known as code name Mint. Meanwhile several information on the Sony Xperia Mint had already been unveiled in recent months, including through the Bluetooth SIG site which unveiled all its technical characteristics, it is now a first photo of the device that just has been leaked on the site Mobile-Review. 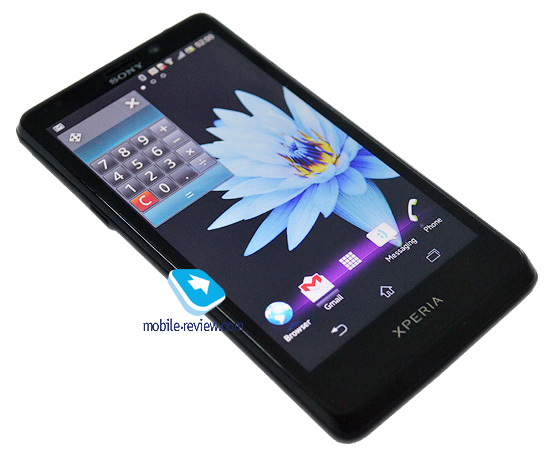 We discover a design that is reminiscent of the Sony Xperia GX but thiner, a large slab covered with a black screen below which are located three capacitive keys of Android 4.0 Ice Cream Sandwich. We find also a non-removable battery, micro SD slot and the inclusion of Sony WhiteMagic technology for enhanced visibility during the day. In terms of pure technical features, the Sony LT30p Mint features a dual core processor type Qualcomm Snapdragon S4 (Qualcomm MSM8960 dual-core Krait processor), a 720p HD screen of 4.3 inches and a 13 megapixel camera sensor, while the device runs on Android 4.0 Ice Cream Sandwich. 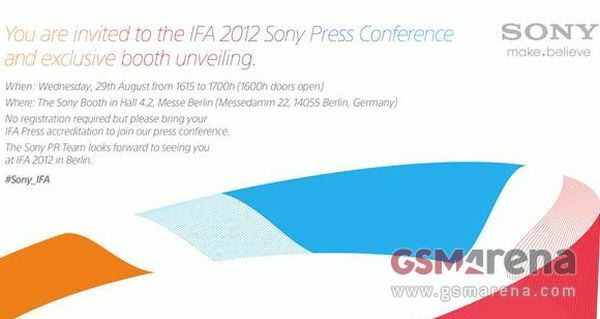 Sony has sent out invitations for a pre-IFA press conference. Anyone had an IFA press accreditation is invited to take a look at the latest Sony Xperia smartphones, which are expected to be announced there at the IFA Expo. The guys over at GSM Arena have received one of the first invitations from Sony, but unfortunately it doesn’t say much about what products are to be revealed in Berlin. Several Sony Xperia devices have entered rumorland over the past few months. We saw the entry level Sony ST26i Xperia J, the LT26ii Xperia SL, which is probably going to be a remake of the Xperia S with a speedier CPU, the LT29i Hayabusa with its 13MP camera and a 4.55″ HD screen and the Snapdragon S4-based LT30i Mint, which also sports a 13MP camera and an HD display. Actually we’re not sure which of those will go official at the press conference in Berlin, but the LT26ii seems almost certain to debut there. No doubt we’ll be telling you all about the event and what it come, we’ll covering what’s new in Sony, so stay tuned to know more. The Korean electronics manufacturer LG has just announced the future release of a TV (84LM9600) 84″ or 213 cm diagonal. This new screen will not make you large blocks of pixels, since it has a resolution of 3140×2160, a pixel density of 52.5 ppi. It is able to maintain 1080p for your 3D movies, and of course has the full panoply of modern Smart TV. No exact date of release announced yet, but the manufacturer could not afford to leave the field open to his great rival Samsung, which announced on his side the 75 ES 9000 2 weeks ago, finally all what we know is that new big-TV (84LM9600) is advertised at a price of 22,000 $. The Galaxy Note 10.1 was initially announced at the Mobile World Congress in February in and was supposed to be powered by a dual-core Exynos chipset. Later, though, Samsung decided to delay the tablet and equip it with a better CPU. Samsung is still mum on the new chipset, but the latest rumors and leaked benchmarks suggest a quad-core Exynos ticking inside the final Galaxy Note 10.1 – the same powering the Galaxy S III smartphone. 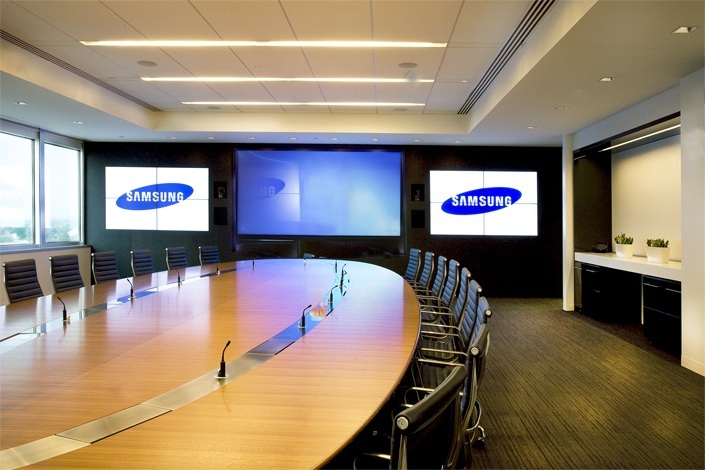 As mentioned before Samsung is holding an event on August 15 in New York. Chances are Samsung will finally reveal the revamped Galaxy Note 10.1 there and we’ll get the answers to all our questions. Samsung Electronics America has sent out “Save the date” notes to the press that they will be announcing a new Galaxy device on August 15. They kept the note all mysterious and offered no info on the device, but the words “major announcement and unveiling of the newest GALAXY device” are enough to draw plenty of interest on their own. So, what it might be? The Samsung Galaxy Note II has been going around the rumor mill for a while now, but the latest rumors put its announcement two weeks later – August 30, just before the IFA start. 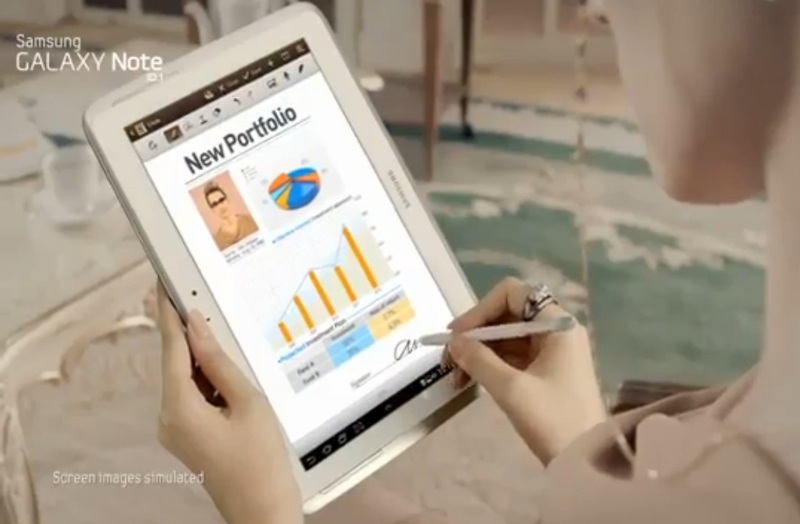 The other Note – the Galaxy Note 10.1 – is a likelier candidate. It has gone through a redesign (its CPU got updated to four cores and a slot was added for the S Pen stylus) and even briefly popped up (by mistake) for pre-order on J&R. The pre-order deal was $499 for the 16GB version and $549 for the 32GB version, but that page has since been pulled. It has been pointed out that the note comes from Samsung Electronics America, not Samsung Telecommunications America (who usually handle phones), which lends some credence to the Note 10.1 theory. Then there’s the possibility of something new (or new to America at least). Anyway, the full details will be revealed during the August 15 press conference. So whatever it might be we’ll keep you updated, so keep your eyes on our home page for more fulfil infos.